If you’re looking at manually associating an affiliate to a transaction after the sale has completed, or maybe you’ve removed an affiliate and want to associate that sale to a different affiliate, we’re going to look at how to do this below. To add an affiliate to an existing transaction in your account, you’ll need to head to your transactions area and then search for the transaction you want to assign the affiliate to. Then you’ll want to click the pencil icon next to the Affiliate: N/A text. If you already have an affiliate associated with the sale, then you’ll want to remove the affiliate first. You’ll be presented with a modal window giving you the option to apply an affiliate to this order. Clicking the button to apply an affiliate will then give you the chance to enter an affiliates name or affiliate ID. You’ll be able to select the specific affiliate you want to associate with the sale and then you can click next. On the next step, you’ll get a break down of the commission that will be applied to the affiliate. There’s are a couple of things to note here if the commission amount isn’t what you were expecting. Commission applied to the affiliate will be based on the product settings as they are now, not what they were at the time of the original transaction. 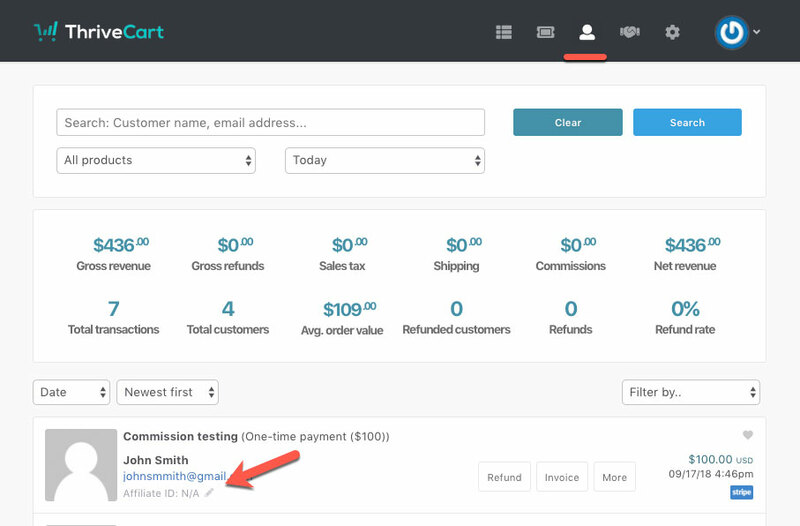 Custom affiliate commissions will override the product’s standard commission rate. It’s also worth noting that if commissions are set to instant commissions, the payment will be due immediately and you can mark it as paid from your Payouts area. If the commission is set to be paid 30-days after the transaction, and you apply the affiliate 10-days after the transaction took place, commissions would be scheduled in 20-days time (total of 30 from the original date). Once confirmed and applied, the commissions will be queued up in your Payouts area ready for you to pay either through PayPal where applicable or via your own manual means. The affiliate will now be associated with the transaction. If you have any questions, please contact the team directly with your questions and we’d be happy to help.